The microwave vacuum drying equipment technology was used to develop new banana drying products, and the optimum microwave vacuum drying technology for banana slices was obtained. The effects of vacuum, microwave intensity and slice thickness on color difference, brittleness, swelling rate and sensory quality of banana slices were studied by three factors and three levels L9 (34) orthogonal design. The technological parameters of microwave vacuum drying of banana slices were optimized by comprehensive optimization method. The quality of dried banana slices obtained by different microwave vacuum drying process parameters is obviously different. The optimum point of microwave vacuum drying process is determined as follows: vacuum degree - 80 kPa, microwave intensity 14 W/g, slice thickness 12 mm. The quality of dried banana slices obtained under this process condition is better than that of microwave drying. And vacuum frying. It is feasible to use microwave vacuum drying technology to prepare new type banana slices dried products. Optimized technological conditions can significantly improve the quality of banana slices dried products and provide theoretical basis for the industrial application of microwave vacuum drying technology for banana slices. Banana is an important fruit in southern China. Its fruit is sweet and fragrant, soft in texture, waxy and smooth in taste. It also has the functions of promoting gastrointestinal peristalsis, dispelling heat and moistening lung, soothing nerves and protecting cardiovascular system. It is suitable for both old and young people. However, bananas belong to climacteric fruits, which have high respiratory intensity after harvest, are not fresh-keeping, easy to rot and deteriorate, and suffer serious postpartum wastage. Therefore, postharvest preservation of banana fruit has become an urgent problem in production. Banana slices are the main products of banana processing. But at present, banana slice processing machine mainly uses frying or sugar seasoning, and its processing products have some shortcomings, such as high fat content, easy to collapse, unfavorable preservation and adverse effects on human health, or after flavoring, the processed banana slices fail to reflect the original flavor of banana and affect the sales of banana products. Therefore, it is necessary to develop non fried, banana flavored banana processing products. The low temperature characteristics of vacuum drying make it have the advantages of low cost and high quality. 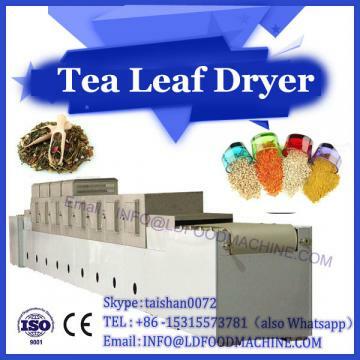 Vacuum drying equipment is used to vacuum drying and vacuum freeze drying of Kiwifruit slices. The results show that under the conditions of vacuum 50 Pa and slice thickness 6 mm, the original light green of kiwifruit slices can be better maintained and greatly improved. High Vc preservation rate, and microwave drying has the advantages of fast drying rate and short drying time. Microwave vacuum drying technology combines the advantages of microwave drying and vacuum drying. The evaporation of water can be achieved by microwave heating of materials under vacuum conditions. It can keep the nutritional components of food and the original color and fragrance of food. It has the advantages of high efficiency, low temperature and high speed. In recent years, microwave vacuum drying has become a hot topic in the field of food drying at home and abroad. 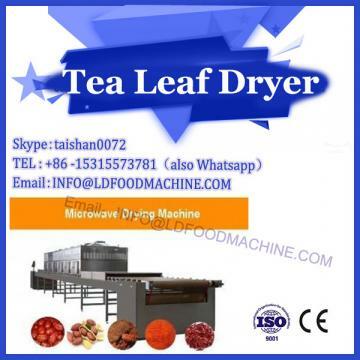 The microwave vacuum drying technology of agricultural products such as litchi, apple, kiwifruit, tremella, mushroom, garlic, potato, carrot and fern has been studied by scholars at home and abroad. 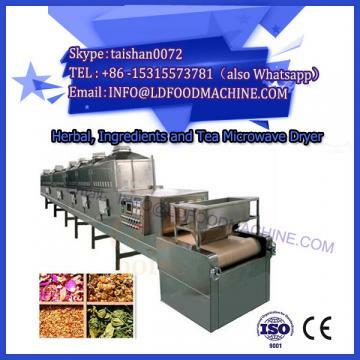 The experimental study of microwave vacuum drying is mainly embodied in the influence of drying factors on water evaporation rate and drying time in the process of microwave vacuum drying. However, the effect of microwave vacuum drying technology on the quality of banana chips has not been reported yet.